WEBINAR SNAPSHOT: Learn how to help your landlord-clients protect themselves via insurance policies and/or recover costs when a tenant causes damage to a short-term rental property or unit. With new apps like Airbnb making renting easier than ever, short-term rentals have become increasingly popular among homeowners – and the increased demand has created numerous legal questions. For example, what is the distinction between a short-term and long-term rental? Is a license, permit, or certificate necessary? What are the key provisions to include in the rental agreement? Under Tennessee law (Tenn. Code Ann. §66-28-401) tenants may not deliberately or negligently destroy, deface, damage, impair or remove any part of a rental unit or permit any person to do so. What safeguards can landlords put in place to protect themselves and their investments? What is the legal recourse for a landlord when a short-term occupant causes damage and fails to—or refuses to—pay for it? Real Estate Law: Remedies Available for Damages to the Rental Unit — is just $99. Michael A. Wrenn is an attorney for Freeman & Fuson. He represents a wide variety of clients with a focus on providing his clients personalized service in their time of need. Mr. Wrenn has a passion for helping individuals who are at risk of losing their professional license and assisting landlords with protecting their property investment. He received his B.A. degree from the University of Tennessee and his J.D. degree from Nashville School of Law. 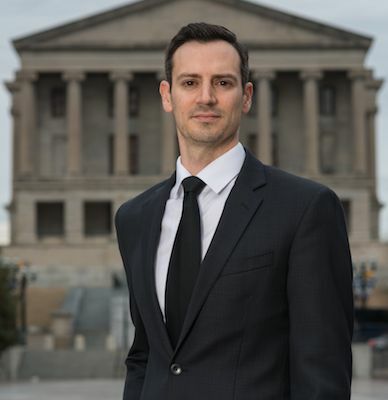 Mr. Wrenn is a member of the Tennessee Bar Association, the Tennessee Association of Criminal Defense Lawyers and the American Association for Justice; and is admitted to practice in the Federal Court of both Middle and Western districts of Tennessee.